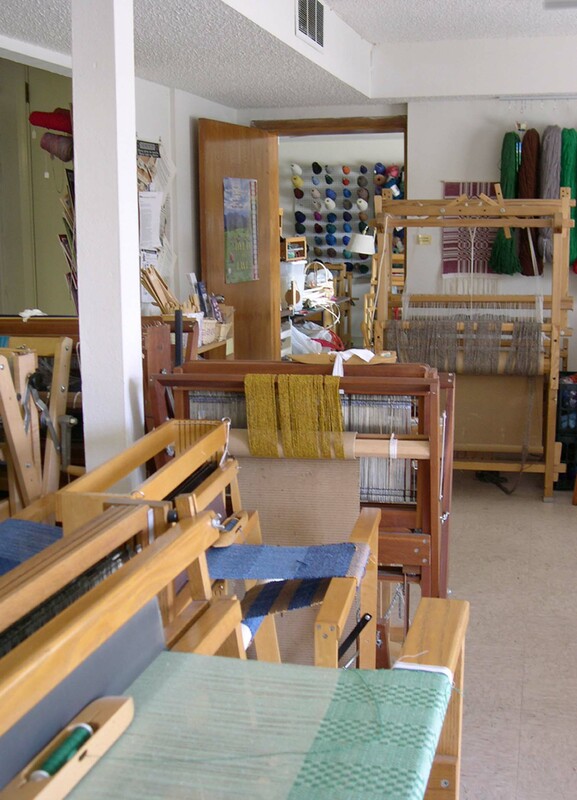 Our weaving classes provide instruction for beginning weavers as well as for intermediate and advanced students. Beginners will weave a scarf, in the form of a twill sampler. More experienced weavers may design projects of their own, or learn traditional or contemporary techniques of their choice. Floor looms are provided for use during class time. A wide variety of yarns and books are available for purchase. 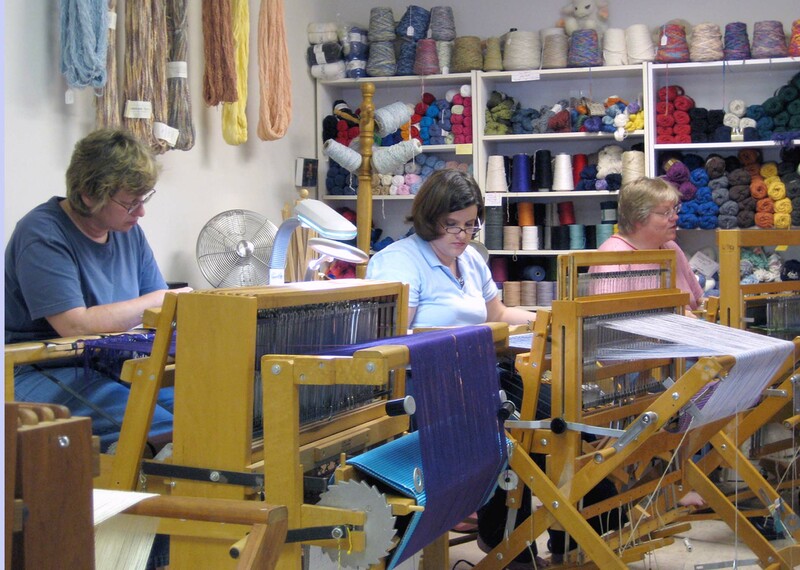 At White Rock Weaving Center, we have about 32 students who come once a week at scheduled class times, in groups of 6 or 7. The beginner project takes most students 5 weeks to complete. If the weaver wishes to continue in our classes, most of the more advanced projects take more than 5 weeks to complete. Once a weaver is in our program, she or he may continue as long as desired, to learn on intermediate or advanced levels. Currently, there is a waiting list for these classes. Please call if you wish to have your name added to our list. Thursday mornings, from 10am-1pm, and on Saturdays from 1:30-4:30. We offer two classes on Sunday afternoons, 12:15-3:15, and 3:30-6:30. Each class is 3 hours in length, each session runs for 5 weeks. Cost: $195 for 5 weeks, includes use of loom. Materials costs are additional and vary according to the project chosen. Individual Instruction: For weavers who have portable looms, and for weavers who have looms at home but just need a "refresher," individual lessons can be scheduled on weekday afternoons and late afternoons. The cost is $35.00 per hour. Please call Anna to schedule an appointment. 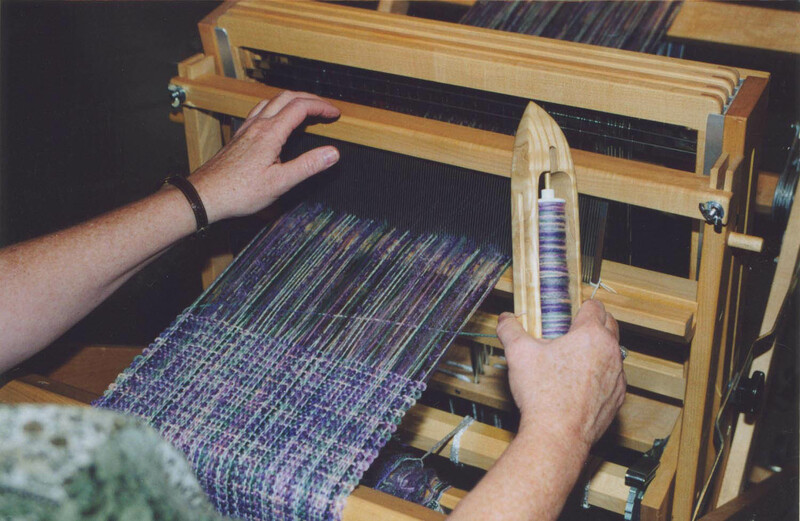 Small Loom Instruction: We offer short-term classes, with individual lessons, in weaving on the rigid heddle loom and the inkle loom. Small group classes can be scheduled. Invite your friends and we'll work out a time for you! The cost is $35.00 per hour, and the rate will be flexible with two or more scheduling to come for a class together.